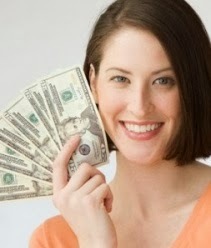 Online payday loan lenders are notorious for wanting a working bank account from their customers. With no credit check, this bank account is the only way a lender will know that a customer has some sort of payment and income history. Even brick and mortar payday lenders will expect a signed check as collateral for a loan. Bank accounts are a very important tool used in today's financial world. What happens when a potential customer does not have a bank account? For starters, their money options have been limited even more by taking out payday loan lenders from the bunch. Many people who have bad credit or carry lots of debt liabilities have already limited themselves from many money options. Losing the payday loan lender option cripples an individual further to handle cash emergencies. Check cashing stores are growing more popular for people in said financial state. More and more stores are opening in poorer neighborhoods, increasing the dependency for those without bank accounts. The check cashing stores will cash a person's check for a fee, but there are other important services which are being offered at a price. These centers are becoming full financial services by offering electronic billing payments, wire transfers, and prepaid debit cards.The scrutiny of the payday loan lender is spilling over to the check cashing stores. The much scrutinized lenders are sharing some of the spotlight as these stores are rapidly growing providing paid services for the low income. This is clearly noticeable in New York as there are 131 stores located in the Bronx alone. As these stores try to avoid being scrutinized further and to keep away from being coupled with payday loan lenders, there is one New York chain located both in the Bronx and Harlem which will be starting a free savings account service. The new program will give customers a place to start saving their money at no charge. This new savings program would be a benefit to those who use the services, similar to a loyalty or rewards program. If not building a savings account, it would definitely be a place to put your money until you needed it later. Some skeptics of this new program are saying that this new program would make those customers even more dependent on their store. These same people believe that lowering the "exuberant" fees attached to these services would be the best way to help the customers in the long run. "Exuberant fees" is a familiar complaint to payday loan lenders. New York has highly restrictive fees for the payday loan industry. There is legislation being worked on which would lighten the restrictions on brick and mortar stores, but tighten them for online payday loan lenders. All these changes happening simultaneously may not be an accident. The check cashing stores want to get rid of any image which may group them with the short-term loan lenders. Finding available options for those with troubled financial situations is a common thread no matter where you live. Getting a fast loan, cashing a paycheck with no bank account or having a bank account with a limited balance creates fees. When there is limited income, fees are exuberant since there is none if any wiggle room between pay periods.